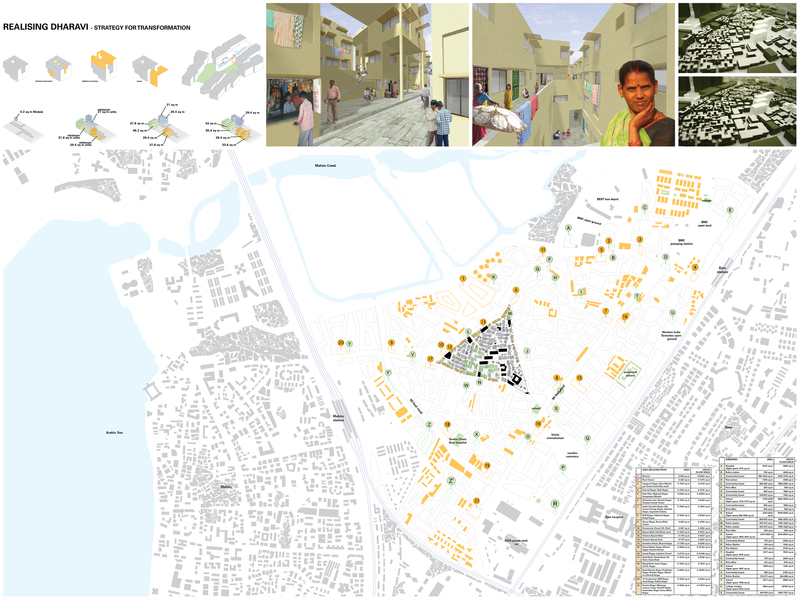 Project entry 2008 Asia Pacific - "Realizing solutions for the redevelopment of Dharavi, Mumbai, India": Hindu area. 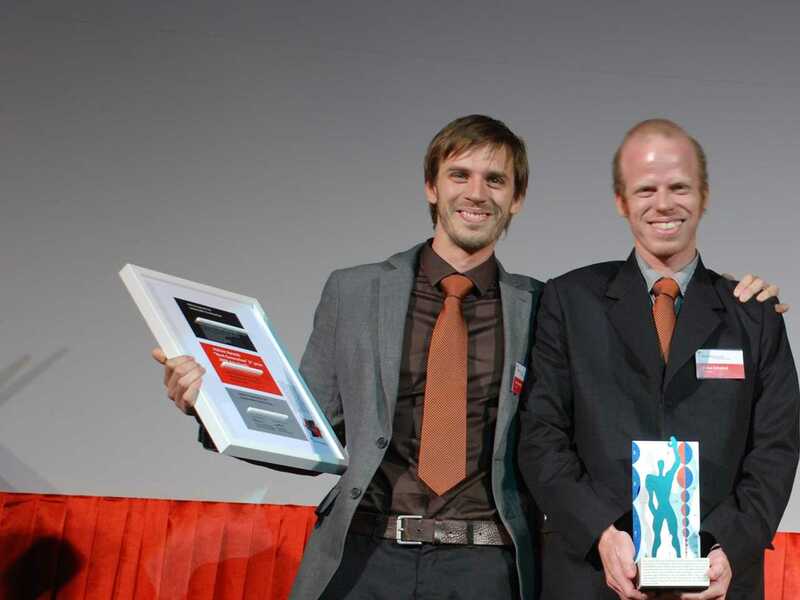 Holcim Awards "Next Generation" 2008 2nd prize winners (l-r): project authors Jens Kaercher and Lukas Schwind congratulated by jury member Wowo Ding for “Realizing solutions for the redevelopment of Dharavi, Mumbai, India”. 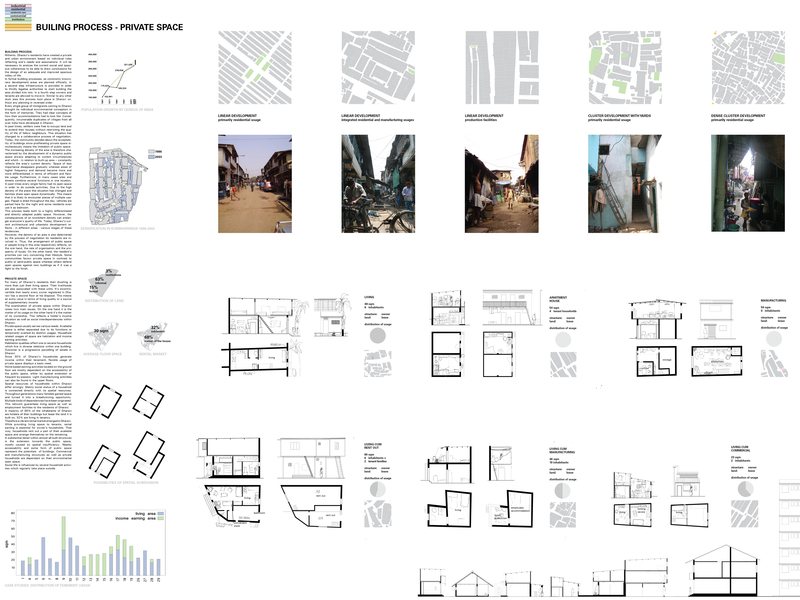 Project entry 2008 Asia Pacific - "Realizing solutions for the redevelopment of Dharavi, Mumbai, India": India": Evaluation of the situation. Project entry 2008 Asia Pacific - "Realizing solutions for the redevelopment of Dharavi, Mumbai, India": Initiative for the transformation. 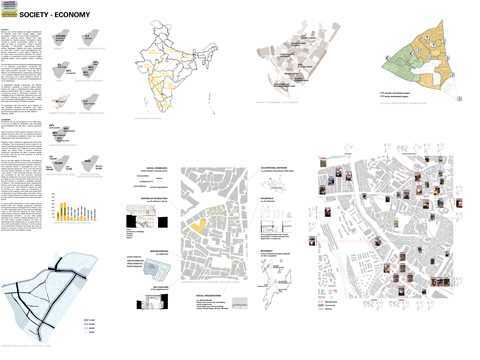 Project entry 2008 Asia Pacific - "Realizing solutions for the redevelopment of Dharavi, Mumbai, India": Society and economy. Project entry 2008 Asia Pacific - "Realizing solutions for the redevelopment of Dharavi, Mumbai, India": Urban growth and private space. 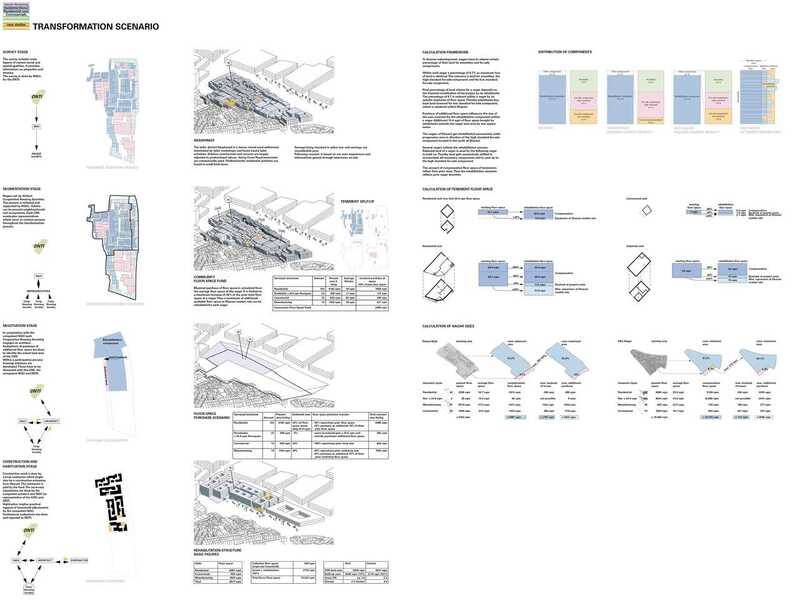 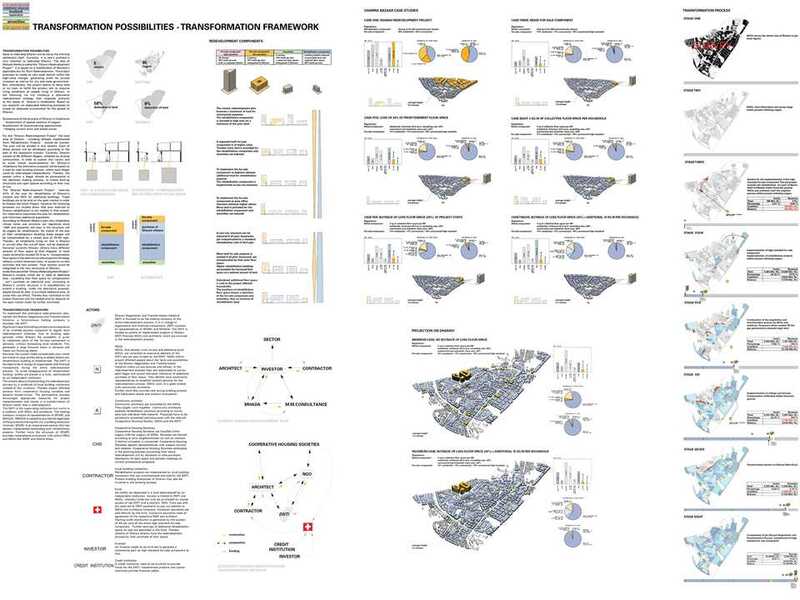 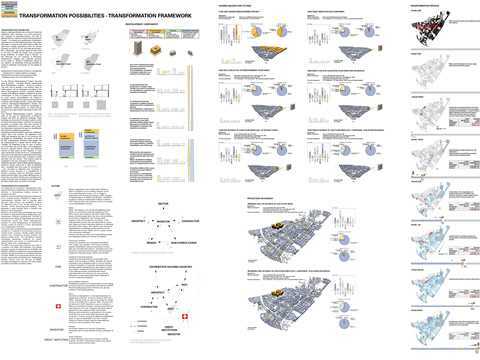 Project entry 2008 Asia Pacific - "Realizing solutions for the redevelopment of Dharavi, Mumbai, India": Transformation framework. Project entry 2008 Asia Pacific - "Realizing solutions for the redevelopment of Dharavi, Mumbai, India": Transformation scenario. 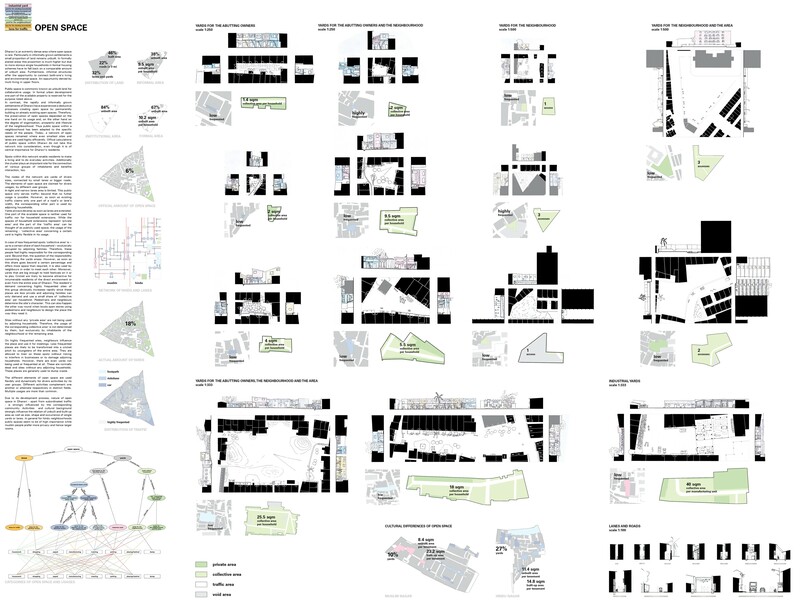 Project entry 2008 Asia Pacific - "Realizing solutions for the redevelopment of Dharavi, Mumbai, India": Urban design. 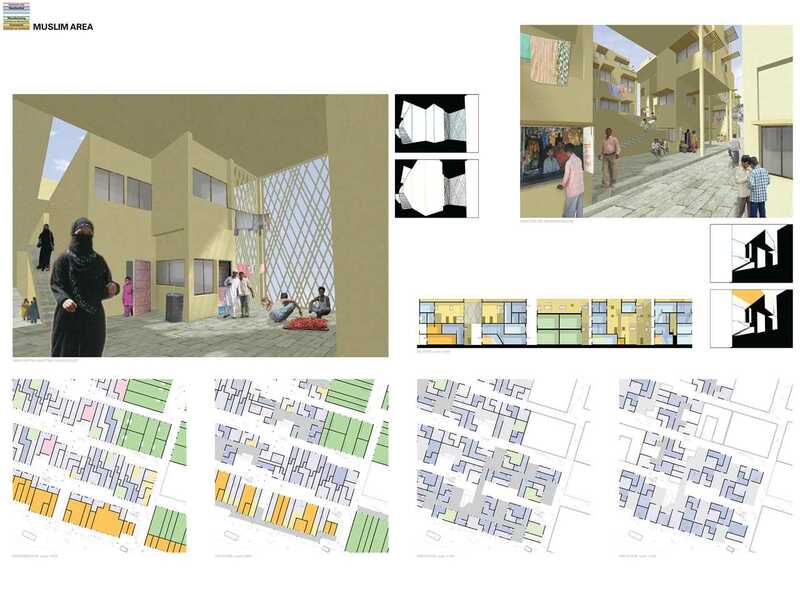 Project entry 2008 Asia Pacific - "Realizing solutions for the redevelopment of Dharavi, Mumbai, India": Muslim area. 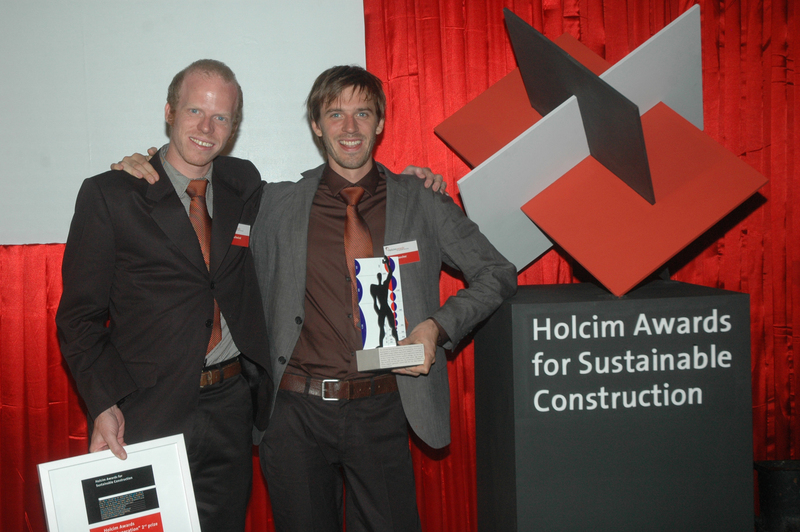 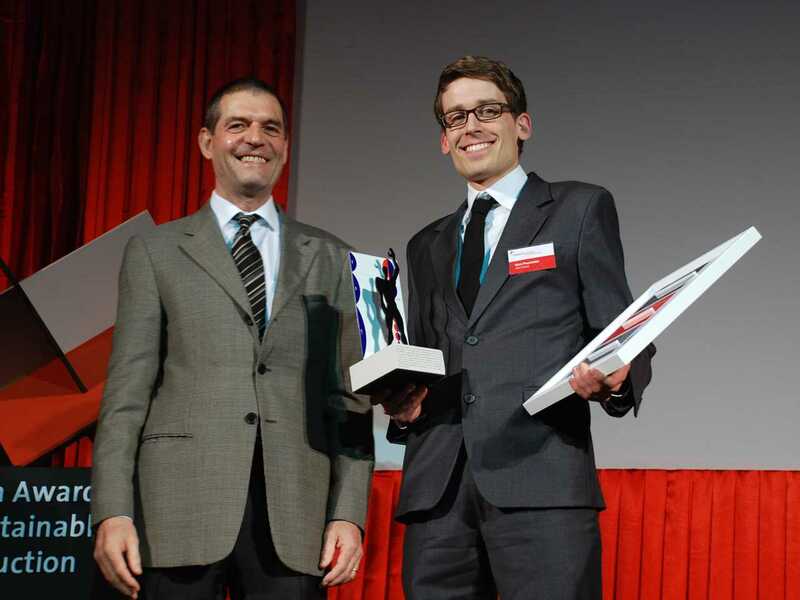 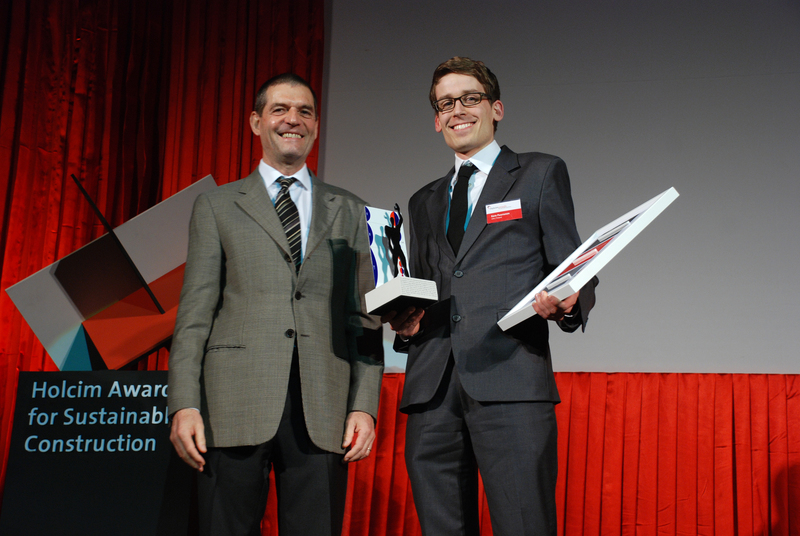 Holcim Awards "Next Generation" 2nd prize 2008 Asia Pacific: Jens Marcel Kaercher and Lukas Dominik Schwind. With 600,000 inhabitants across 220 hectares, Mumbai’s Dharavi is the largest informal settlement in Asia. 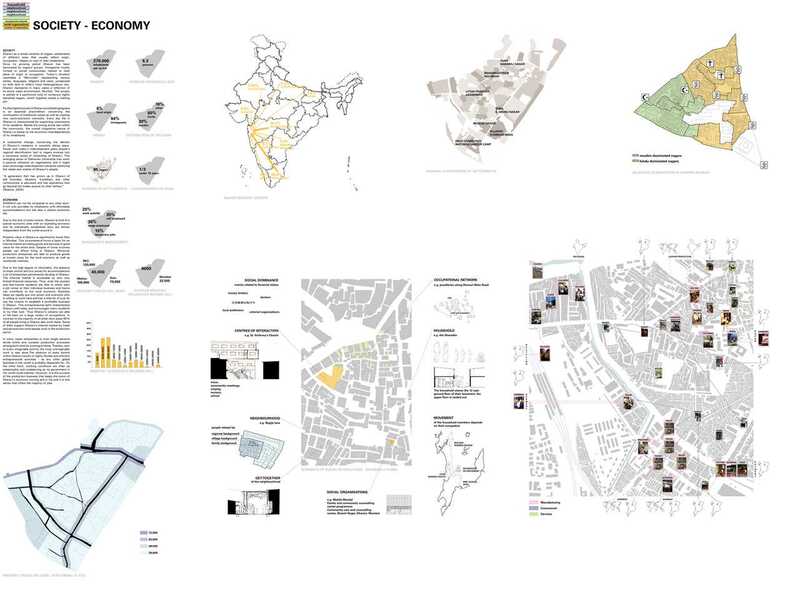 Realizing solutions for the redevelopment of Dharavi aims at an inverse approach to transforming the slum into a modern business and housing district – Dharavi’s existing communities should be the owner-builders of their own future environment. 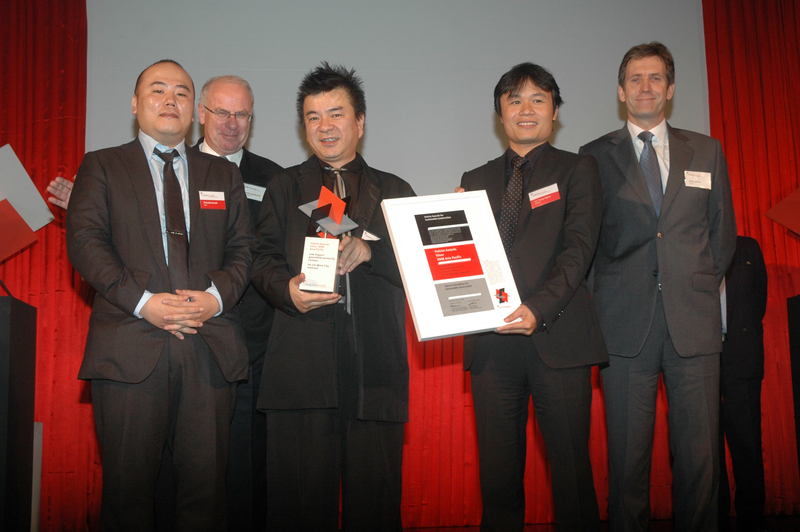 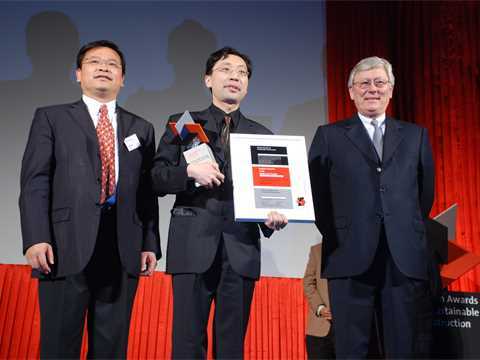 Presentation of the Holcim Award Silver 2008 prize (l-r): Daisuke Sanuki (team member), Paul Hugentobler (member of the Executive Committee of Holcim Ltd), Kazuhiro Kojima, Vo Trong Nghia (both team members), and Aidan Lynam (CEO of Holcim Vietnam). 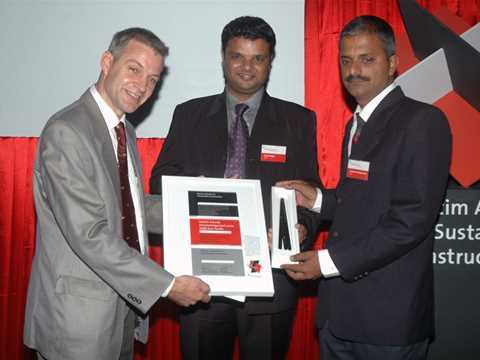 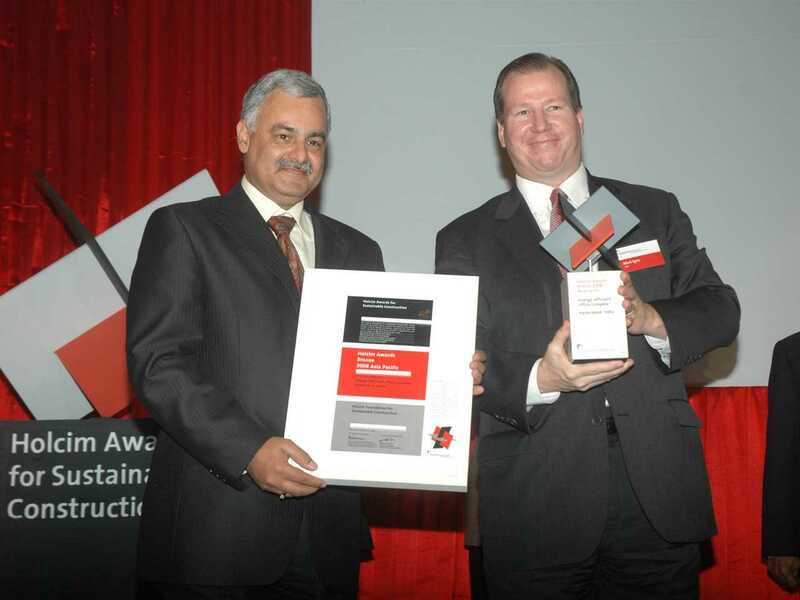 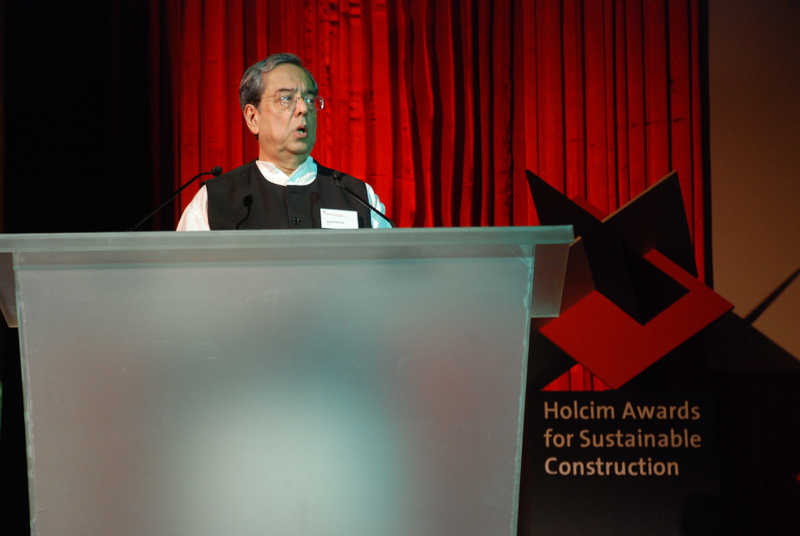 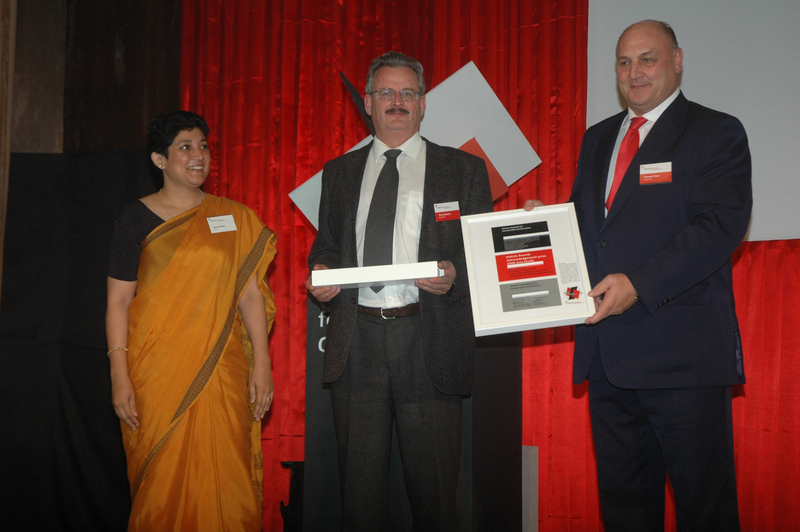 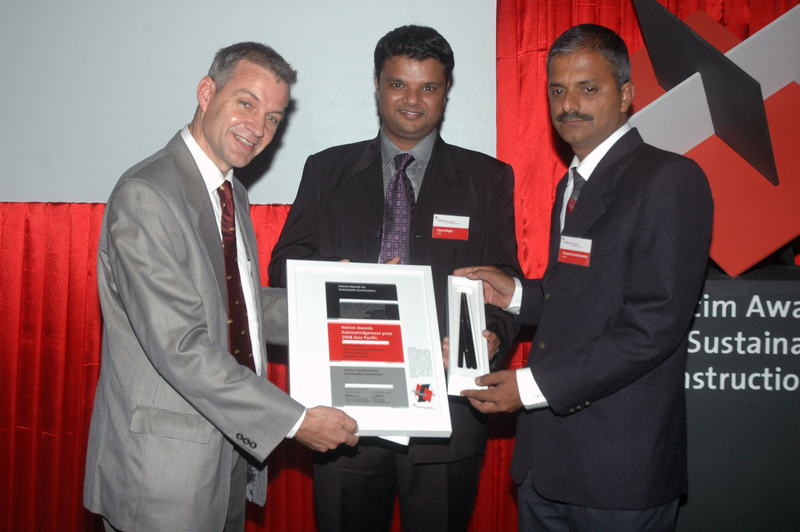 Holcim Awards Bronze 2008 Asia Pacific winners (l-r): Sanjay Chawla, builder, Maytas Properties Pvt. Ltd., Hyderabad, India and Mark Igou, director, Skidmore, Owings & Merrill LLP, New York, USA. 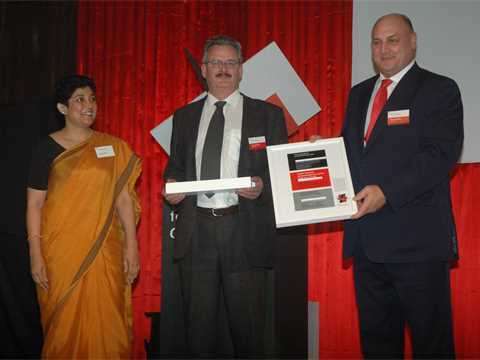 Holcim Awards Acknowledgement prize 2008 Asia Pacific (l-r): jury member Neenat Niazi with prize-winners Tom Schacher, architect, Swiss Agency for Development and Cooperation SDC, Agarone, Switzerland and Thomas Fisler, government officer and team leader, SDC, Mansehra, Pakistan. 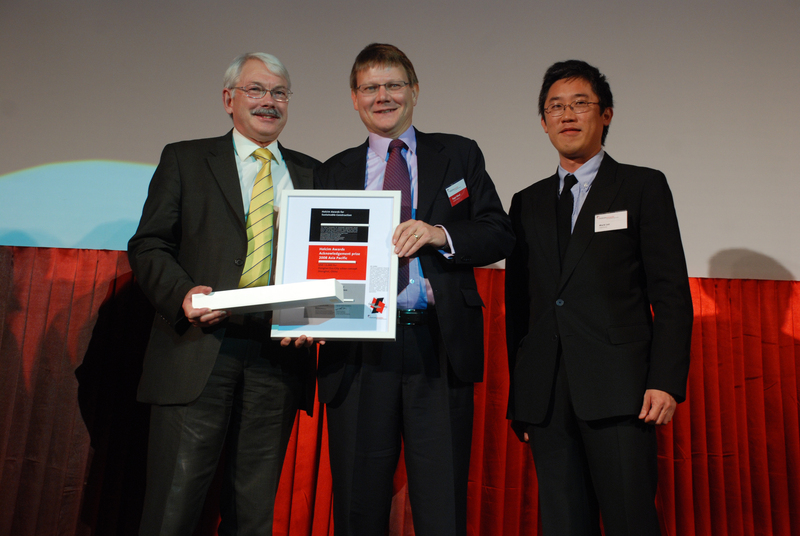 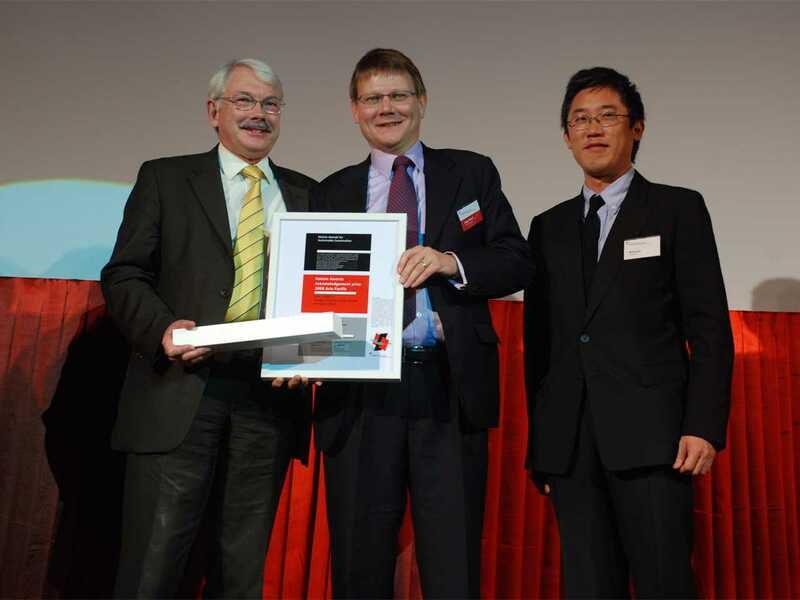 Holcim Awards Acknowledgement prize 2008 Asia Pacific to "Dongtan Eco-City urban concept"(l-r): Peter Head, main author/engineer, Arup, London, UK; Roger Wood, Arup, London, UK; and jury member Mark Lee. 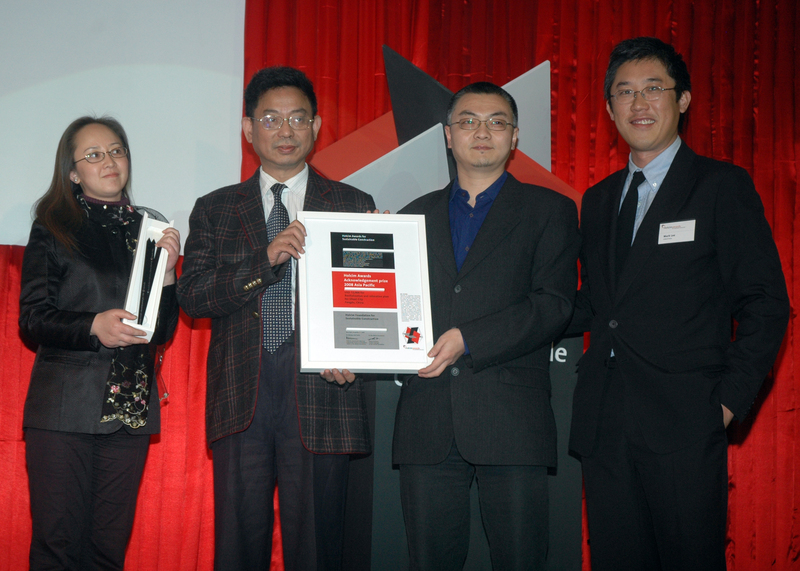 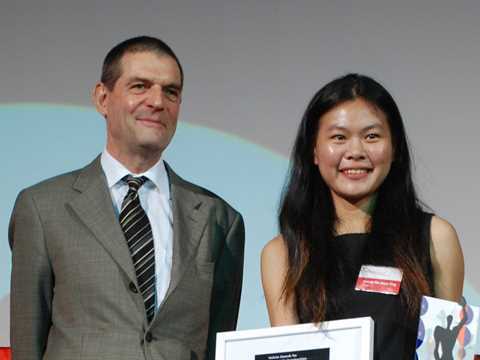 Holcim Awards Acknowledgement prize 2008 for “Revitalization and relocation plan for Ghost City, Fengdu, China” (l-r): Nu Peng, academic; Nan Kai Xia, planner; and Kai Sheng Li, academic, College of Architecture and Urban Planning, Tongji University, Shanghai, China congratulated by jury member Mark Lee. Holcim Awards Acknowledgement prize 2008 Asia Pacific for "Low-cost low-maintenance school extension, Bangalore, India" (l-r): Georg Konrad Leuzinger, architect/main author, L&S Architects, Bangalore, India; Rajai Saveri, architect, L&S Architects, Bangalore, India and Sree Ram Sambukumar, engineer, Bangalore, India. 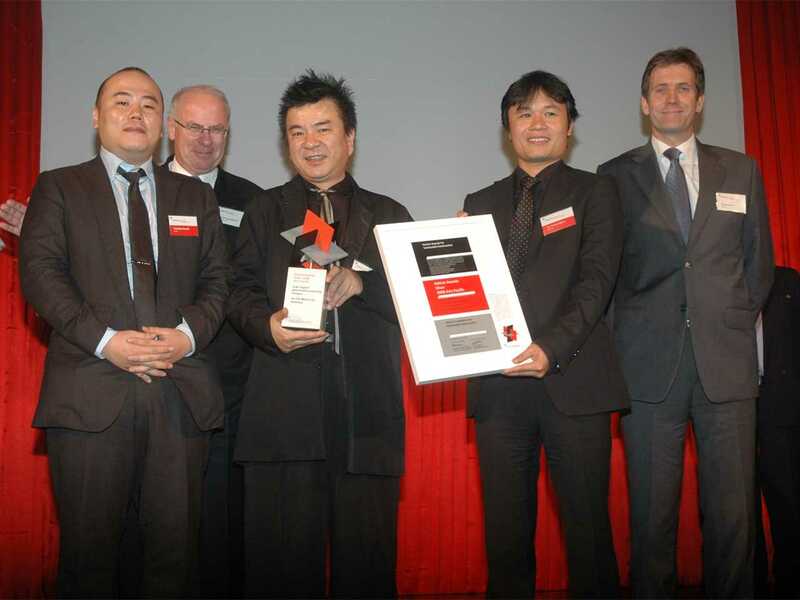 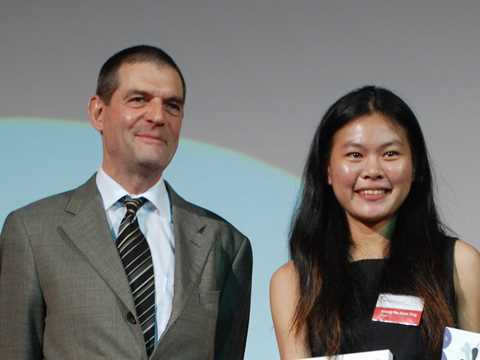 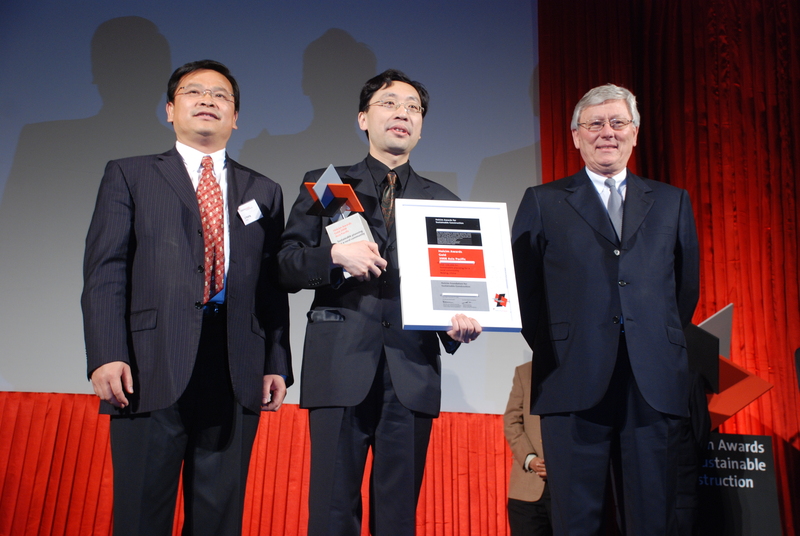 Holcim Awards "Next Generation" 2008 1st (l-r): Member of jury, Hansjürg Leibundgut congratulates winner Boon Ting Teo for “Heart of Suzhou Creek ecosystem revitalization, Shanghai, China”. 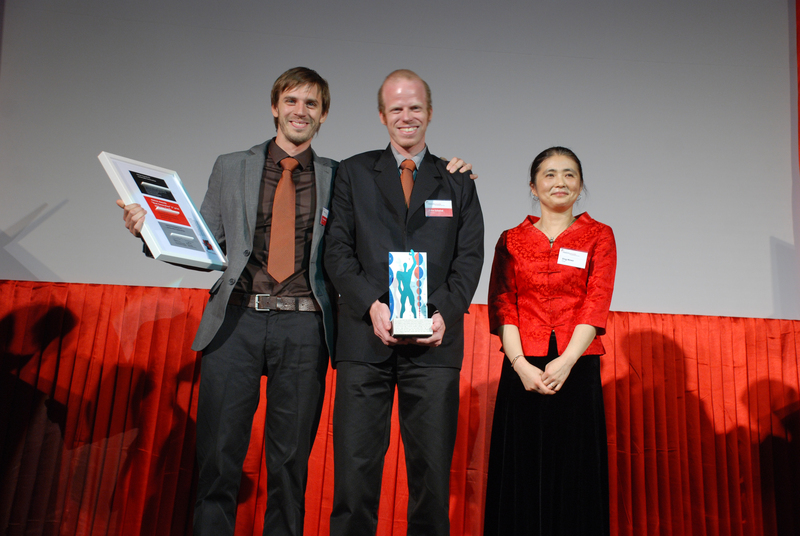 Holcim Awards "Next Generation" 2008 3rd prize presentation (l-r): Jury member, Hansjürg Leibundgut congratulates Eero Puurunen, architect, New Haven, Ct. USA and Finnish national for "Low and dense urban elements, Shanghai, China". 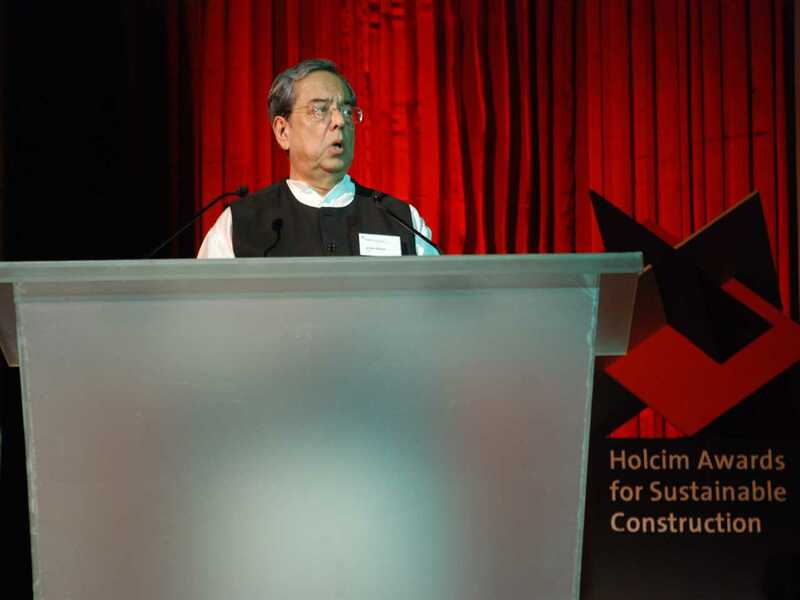 President of IUCN, Chairman of Development Alternatives, and Co-President of the Club of Rome, India. 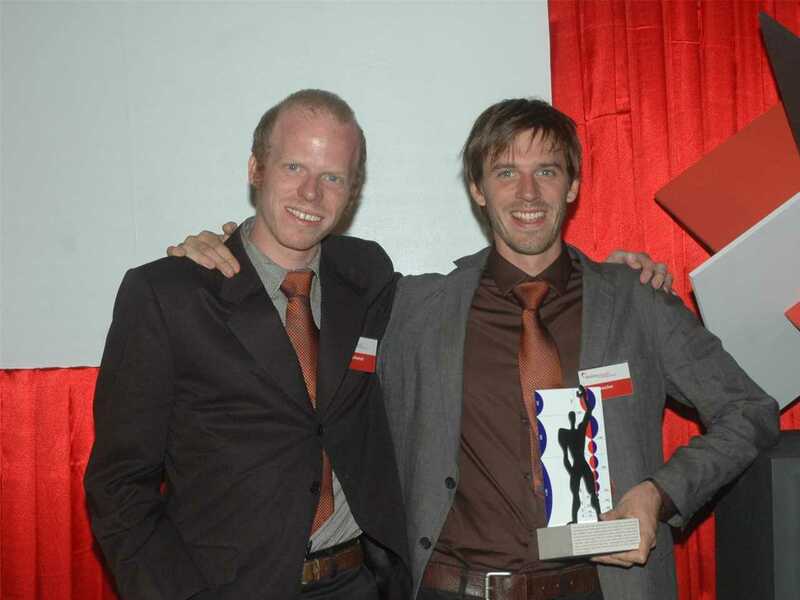 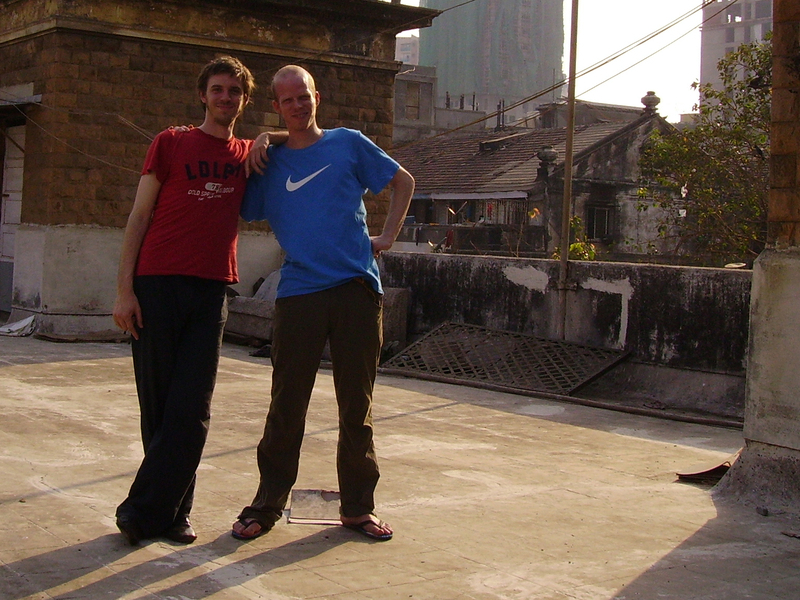 Second prize for a redevelopment strategy for the Dharavi slum in Mumbai, India, was conferred upon German students Jens Kaercher and Lukas Schwind. Holcim Awards "Next Generation" 2008 2nd prize winners (l-r): Lukas Schwind and Jens Kaercher, both students, Berlin, Germany and authors of “Realizing solutions for the redevelopment of Dharavi, Mumbai, India”. 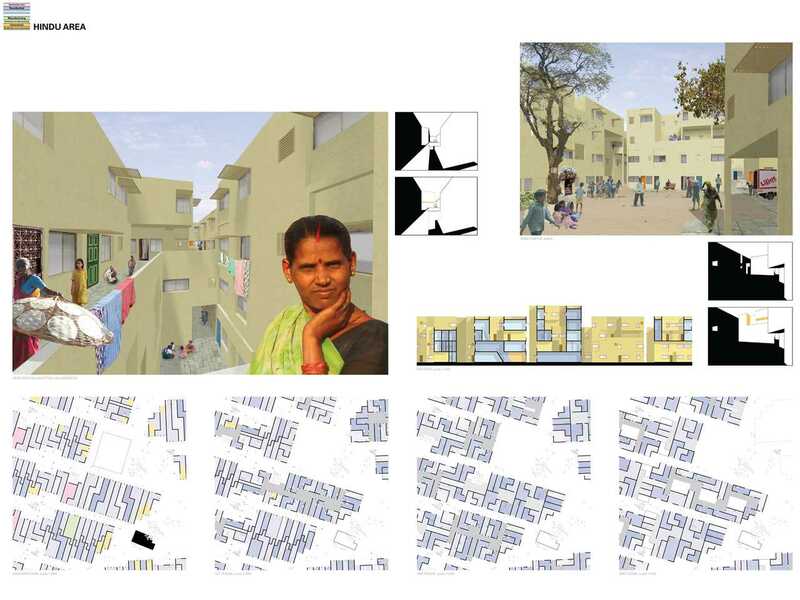 This project deals with informal settlements in Dharavi north of Mumbai, the biggest slum in Asia covering an area of approximately 220ha and housing some 600,000 inhabitants. Due to the exponential growth of Mumbai, the informal settlements at Dharavi shall be cleared and transformed into modern business and housing districts. Therefore it was intended to sell the land in its current state, leaving the new owners to invest in infrastructure and buildings, and implying the relocation of the current inhabitants and their businesses. This project aims at an inverse approach by paying respect to the existing social fabric. 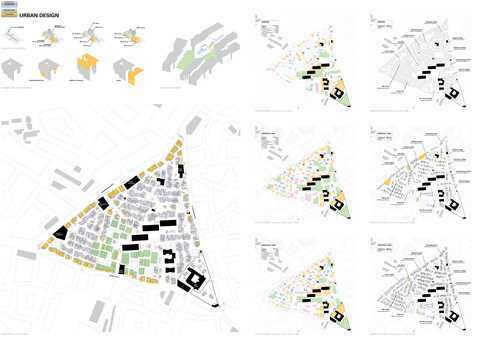 First, the public shall invest in the infrastructure such as sanitation, electricity, roads and public transport and then each neighborhood will be rehabilitated within its ancestral location and at the expense of the present dwellers, protect the current residents from the need to relocate. This project has been commended due to its unique and robust strategy which is based on a sound and astonishingly mature in situ analysis. Project entry 2008 Asia Pacific - "Realizing solutions for the redevelopment of Dharavi, Mumbai, India": Holcim Awards "Next Generation" 2nd prize 2008 Asia Pacific: Jens Marcel Kaercher and Lukas Dominik Schwind. 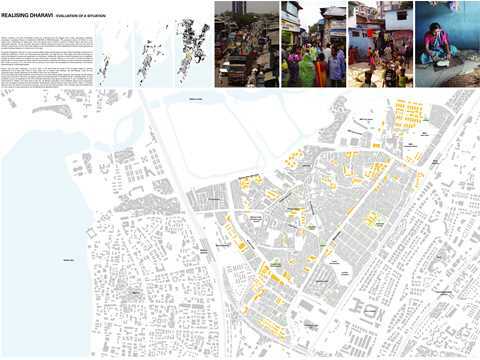 With 600,000 inhabitants across 220 hectares, Mumbai’s Dharavi is the largest informal settlement in Asia. 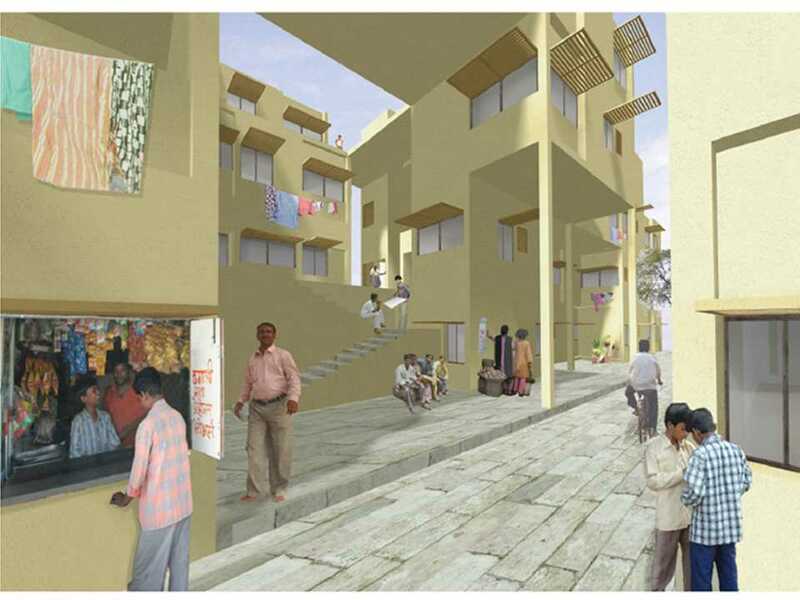 Realizing solutions for the redevelopment of Dharavi aims at an inverse approach to transforming the slum into a modern business and housing district – Dharavi’s existing communities should be the owner-builders of their own future environment.